A solution from Alvi Technologies is helping sugar refining plants ensure efficient processing through proper pH control. The sugar refining process begins with the extraction of juice from sugarcane and sugar beet. The juice is then purified by passing it through several processes in the refining plant, during which the solution is adjusted several times to achieve stabilisation, separation and dehydration. Liming, carbonation and the addition of sulphur dioxide are the three critical stages of the entire process. For complete and efficient processing, pH control is very crucial during these three critical stages. Sugar refining involves severe process conditions such as very high pressure and temperature as well as fluctuating pH levels. When the pH is not accurately maintained, the operation runs the risk of potential losses due to a failed batch. It’s important for the sugar refinery to select and use the correct pH sensor that is able to withstand these harsh process conditions without affecting the accuracy. The pH sensor also needs to be cleaned several times. Alvi’s solution addresses all of these issues while measuring and controlling pH. The Ceramat WA150 sensor lock gate together with Unical 9000 automatic cleaning and calibration system allows complete automation of this difficult measuring point with maximum availability. 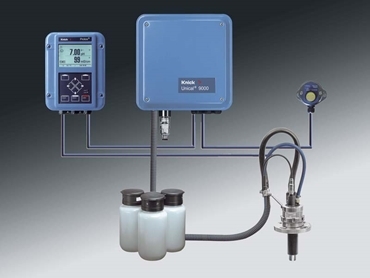 For further information, please read our blog at: pH Measurement in Sugar Refineries. Please visit the Alvi website for further information on their Analytical product range.